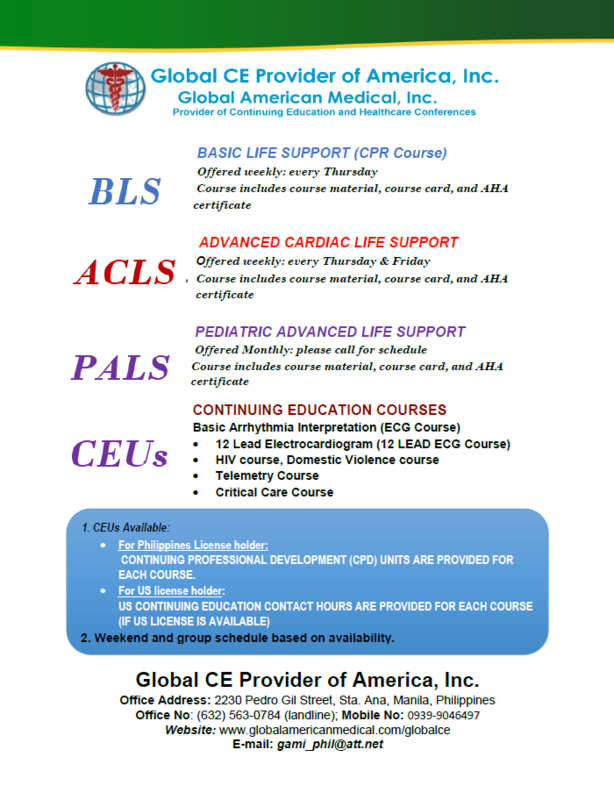 Course Overview: This course is designed to enhance the knowledge and skills of the participants in providing basic life support to adults, pediatrics, and infants. This course also covers management of choking. Course Overview: This course is designed to enhance the knowledge and skills of the participants with the management of life threatening emergencies and cardio-pulmonary resuscitation. This also covers the management of arrhythmias, defibrillation, cardioversion, and cardiac pharmacology. This course is designed to enhance the knowledge and skills of the participants with the management of life threatening conditions and cardiopulmonary resuscitation among pediatric population. Course Overview: This course is designed to enhance the knowledge and skills of the participants in electrocardiogram and basic arrhythmia interpretation. Course Overview: This course is designed to enhance the knowledge and skills of the participants in interpreting ischemia, injury, and infarction. This course will cover the following topics: steps to obtain 12 lead ECG and how to read the 12 lead electrocardiogram, implications, and management. This course is designed to enhance the knowledge and skills of the participants in the insertion of intravenous access and blood drawing. This course will also cover the preparation for performing the procedure (IV insertion, blood drawing), complications, site care maintenance, various types of intravenous solutions, and blood products. The following courses are the approved CE provider courses required for license renewal in the United States. We also offer international conferences for healthcare providers. * If you need a conference planner for your organization, we also offer the service to you. Please call 954-609-9329 for inquiries or E-mail: info@GlobalAmericanMedical.com.